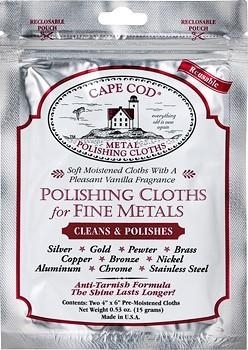 Two 4" X 6" Cape Cod® Metal Polishing Cloths: moist polishing cloths that clean, polish, and protect any type of metal. In a resealable foil pouch. Each Packet contains One 12" X 12" Buffing Cloth. 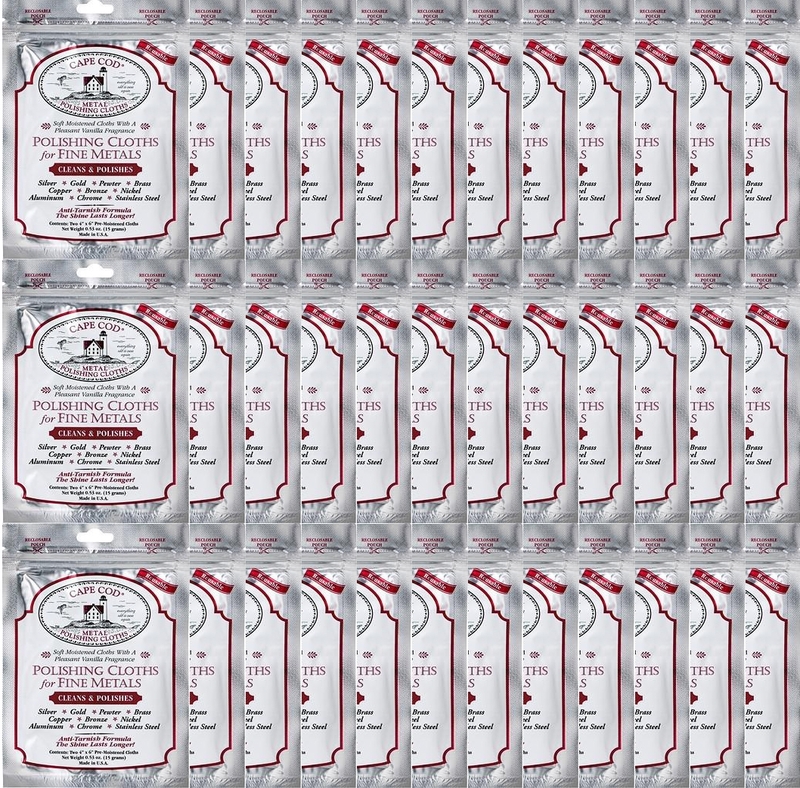 Excellent Cloth for buffing Cape Cod Polish to a brilliant shine - Fast! 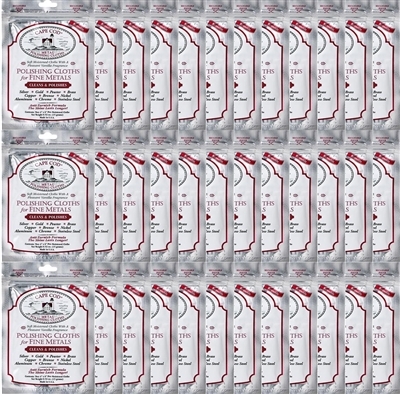 Not Chemically Treated: Cape Cod ® Buffing cloths are washable and reusable.